Many winters ago, a young trapper packed his supplies into a toboggan, and hitched it to the back of his new Elan. His was one of the first snowmachines in town. Although he missed his dogs, he was looking forward to trying this new machine. He left early one brittle cold morning, heading north from Yellowknife to his trapline. Almost at his camp, and 50 km out of town, the deep snow and deep cold got the better of the machine. Without his dogs, he had only one option. He strapped on his snowshoes, and started following his own trail back to town. Ten hours later, he staggered into Yellowknife. 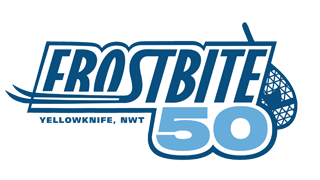 @2018 Frostbite 50 | YK Multisport Club Event. Picture Window theme. Powered by Blogger.